I could watch hours of this. I’m going to dig my cassettes out of the basement and f#%$#@ rock OUT tonight. This rocks, Team MAdMtv- thanks for all your hard work! GREAT work! Congratulations to the whole team! What a fun weekend, right? I have been following you since your 2009 show in Moncton. Guess I haven’t been doing a good job cause I passed through MTL during the Heavy MTL festival and had no idea you were going to be there. The MadTV clips where great, thanks. Hello Melissa … I hope to see you in Italy soon … I was busy with my concerts … if you come in October in November will not fail. Hello hug to you soon. congratulations for this beautiful interview. and respond to my post 🙂 and accept the friendship in your personal facebook … how do I organize a date if I know nothing about?? Roll on autumn.I can’t wait for MadM shows in the UK!!! As promised here you are some links of our videointerview, my report of the concert of Milano and pics…in few words: EVERYTHING. I gather my experience with has some bearing on that privilege. Is there anyone out there that can transmit the things that Dave does on drums?. Love this guy on drums!. Thank you very much for this, Melissa. Skip Hop Studio Diaper Tote Tote is awesome.So several pockets – and also not those little, useless pockets, either. Almost all of the pockets tend to be a wonderful size and seriously assist maintain every thing organized. The handles are a great length and fit nicely more than the actual shoulder; the handle shoulder straps additionally stay put on my own shoulder, which is critical when you’re carrying a child. The tote seems great, as well. Not as well fancy, but not as well casual. (I’ve it in black) The material is soft (can’t think of a greater word) so it’s uncomplicated to squeeze in to tight spaces – but yet it is sturdy. I have a Fleurville Lexi carrier and I adore it, as well, but that tote is kind of inflexible. I assume this Skip*Hop can turn into my daily tote. It’s a bit significant – so if you are not in to substantial totes this may be better as an over-night diaper handbag. I couldn’t come across the facebook web page for this site. Do you have a single? I finally got a chance to watch these videos! People have said you have a deep voice, which seemed inaccurate to me. But it’s true, you do! I am happy got to meet other red haired bassists and see some friends of yours from previous tours! 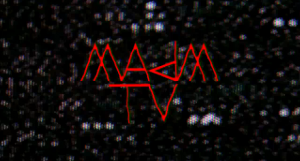 MAdMTV is much cooler than MTV! my best friends and I have made eighteen visits to Phuket during the last three years it really is the cheapest trip you can find. If you visit Koh Samui you won’t forget it. Hi I found this really good online hearing test, it only takes a few minutes and seem to be really accurate. I wish to show my affection for your kindness for those people that really want help on this important concept. Your special dedication to getting the message all over appears to be extremely valuable and have truly allowed folks much like me to attain their aims. This useful suggestions entails so much a person like me and further more to my peers. Best wishes; from everyone of us. If some one desires expert view concerning blogging and site-building afterward i propose him/her to visit this website, Keep up the nice job.